After spending 10+ years in F1 at Ferrari and almost 3 years at Ducati, the Italian Iconic bikes brand, Piergiorgio is now serving as Chief Innovation Officer at Credem Banca. 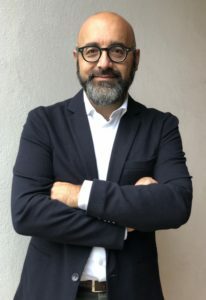 Piergiorgio has deep experience in managing innovative products and services, complex projects and ICT departments, mixing heterogeneous technologies and processes, sourcing strategies and team leading, innovation, design, strategy and business definition skills. He’s been involved in innovation, management and digital activities for many years, basically doing his best to get out of his comfort zone.